ioSafe Rugged Portable wins Best of CES 2011 storage category. ioSafe take the wraps off a brand new product and subject it to extreme abuse. 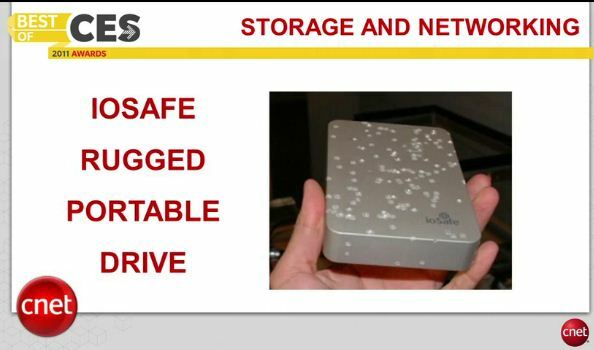 In 2011 ioSafe won the CES 2011 best storage device category for the ioSafe Rugged Portable Hard Drive. The ioSafe Rugged Portable External Hard Disk drive wins the storage catagory for in the BEST OF CES 2011. In 2011, they went totally postal on the Rugged Portable with an M16. In 2009 ioSafe dunk the ioSafe Solo disaster proof hard drive in a swimming pool then set it a light.